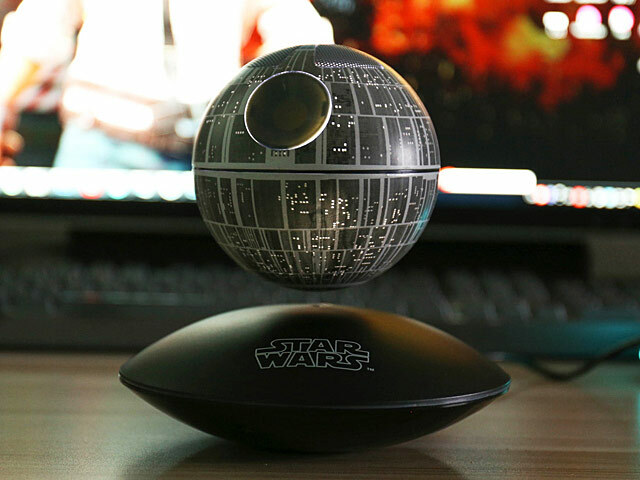 Star Wars Death Star Levitating Bluetooth Speaker II - The Best gift for Star War's Fans. 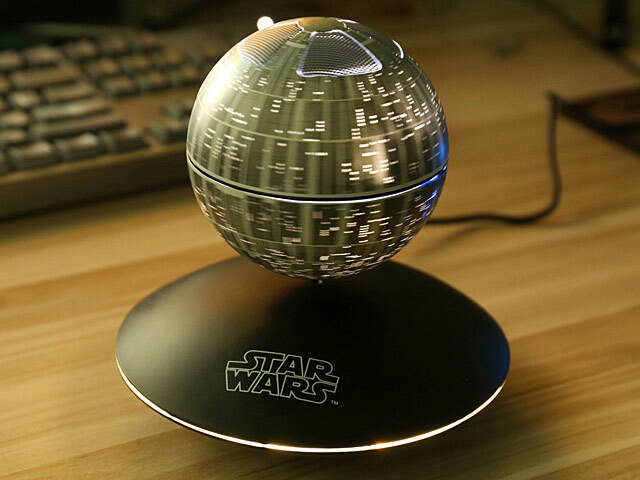 Death Star Speaker spins above the magnetic base constantly! Jaw-Dropping Sound. This cute little guy has superb volume levels for a rich stereo sound in crisp high definition. 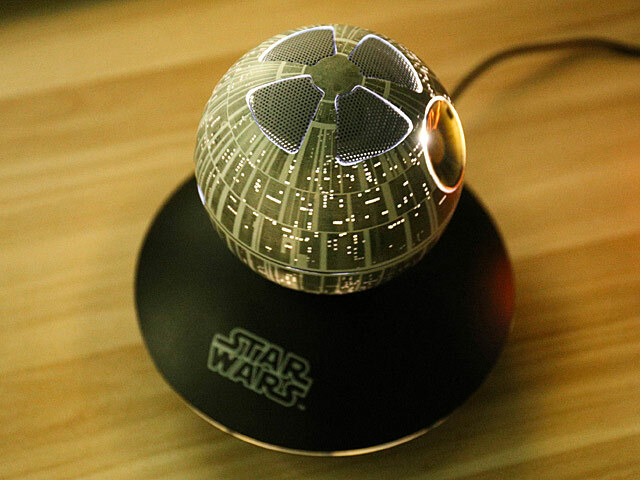 The Death Star glows in the dark!- Easy to use Levitation is as easy as 1-2-3. 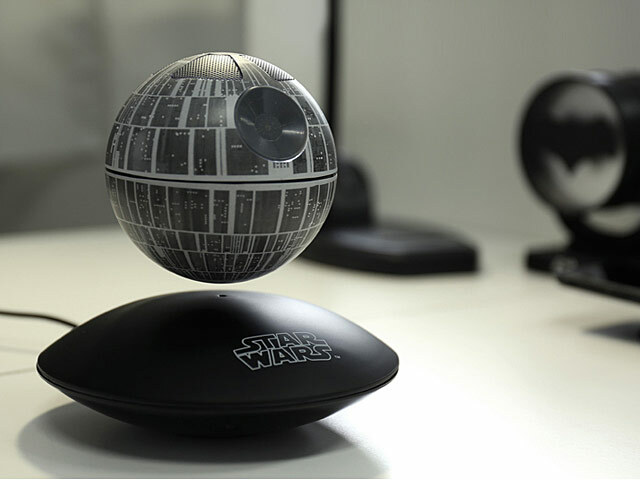 Your levitating orb will be sure to pique the interest of anyone nearby! 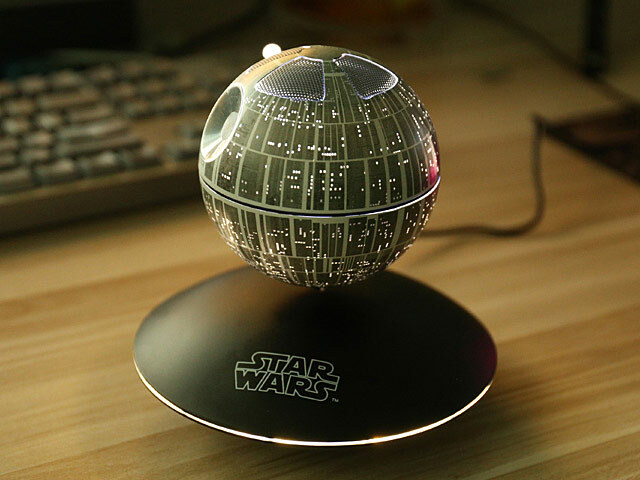 Play music on Smartphone/tablet, music comes out from the Bluetooth speaker orb. Bluetooth speaker floating in the air with 10mm ground clearance. 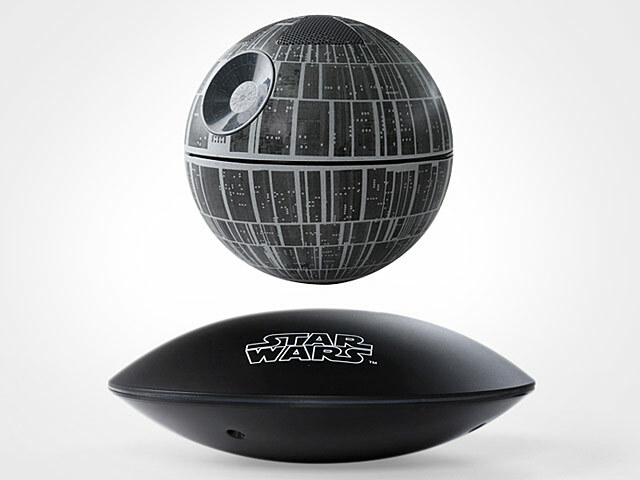 Lightweight & Portable Standalone orb is small enough to let you experience your music anytime - no matter where you are. Incredible Battery Life 1,000mAh enables a breakthrough of 6-8 hours playtime, get ready for hours of non-stop fun!